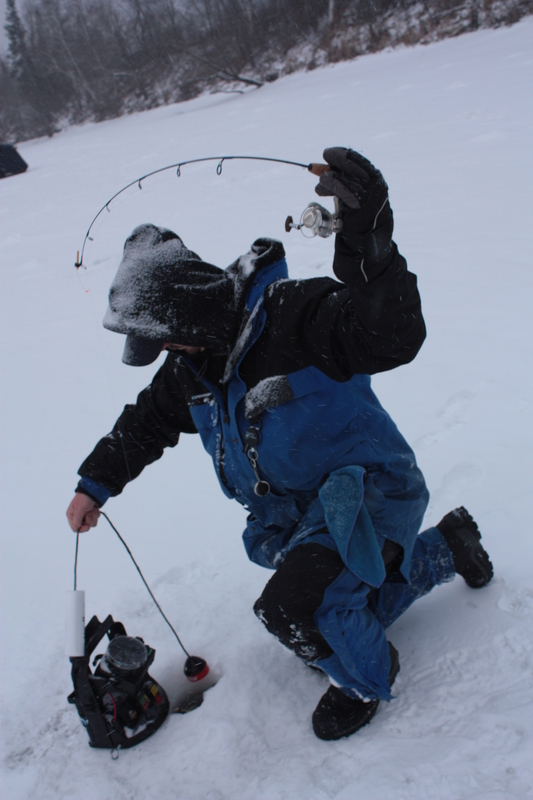 The weekend warrior of ice fishing needs to be prepared in order to maximize their time spent on the hard water. How do you choose where you are going fishing each weekend? 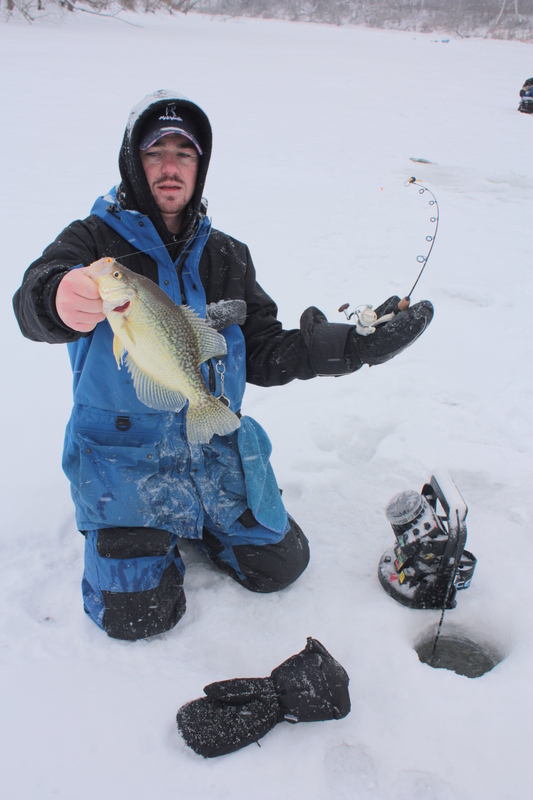 I’m sure we all have our go to spots that consistently produce fish, and I know it’s hard to leave fish to go find fish but D & B Ice Adventures enjoys the challenge. 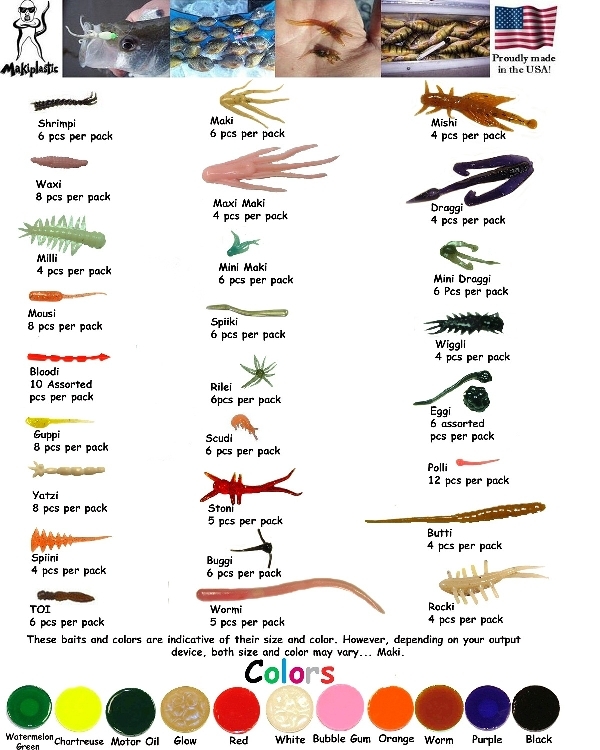 Here are a few things that we look for when searching for fish. The first thing you need is a good updated lake map. Your two best options are to go to the F&W page and print one off, or better yet, if you’re running a smartphone, buy the Navionics App. With lake map in hand you should be looking for sharp contour lines, inside turns, deep basin’s close to weed lines and large flats. My top two places to look for would be inside turns and weeds that come up out of deep water. 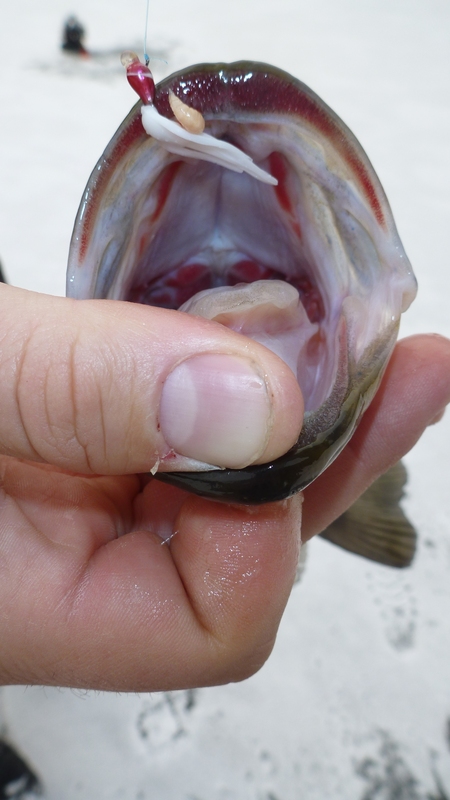 Fish will use these areas to hold up and ambush bait fish. 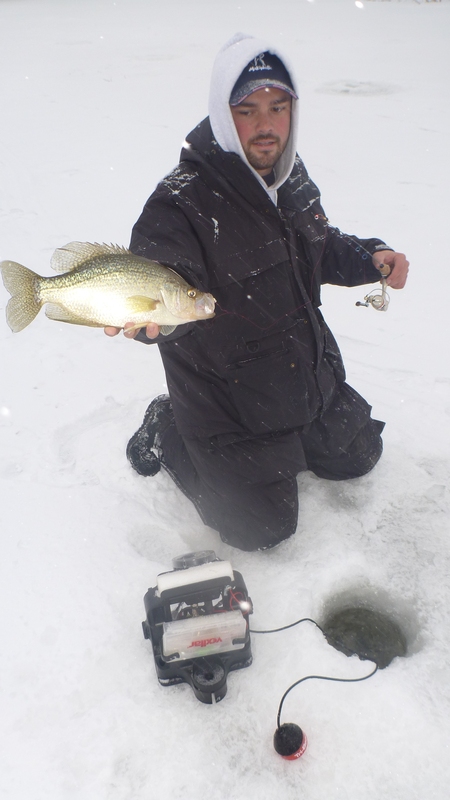 Points are always good spots to check, that point will continue into the water creating some great cover, contour and ambush spots for the walleye, perch and crappie. 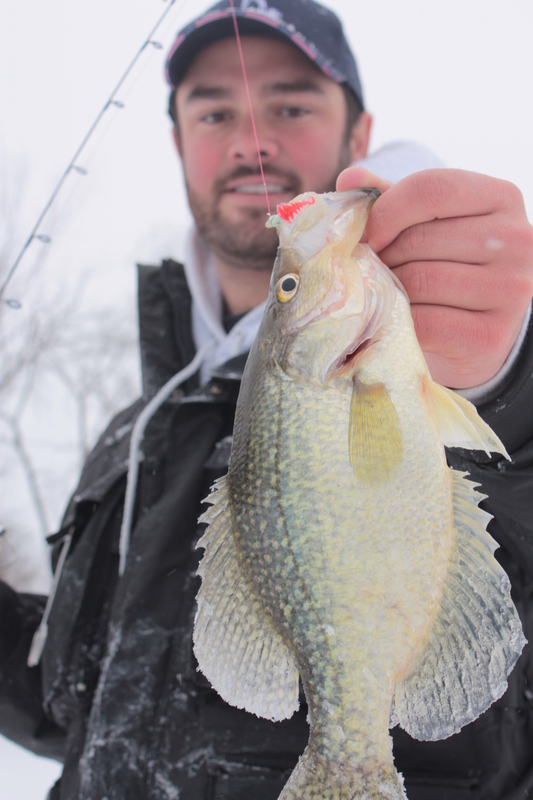 When in search of panfish, I’ll look for large flats with green weeds. These green weeds will hold the life mater in which the bluegill and sunnies will be feeding on. 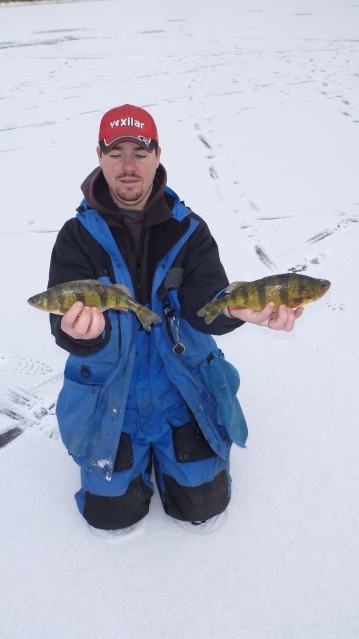 For basin perch, find the basin and run and gun, these fish will be feeding on blood worms so pounding the bottom with a spoon of small jig should produce fish. Maki Plastics makes a great bait for this situation called the bloodi. Needless to say, spend some time doing your pre-fish homework and you’ll have better success when the time comes to get out and wet some lines!